Have you been injured or lost a loved one in an SUV rollover accident? In hard times such as these you do not need to handle the insurance companies on your own. Here at Warren & Associates, LLC we are committed to help you and your family get the fair settlement that you are legally entitled to. Time and time again our firm has been able to pull through for clients and obtain the results that they need. In fact, we have recovered millions of dollars in compensation for previous clients. We have represented countless car accident victims, including rollover accident injuries and we stand ready to take on your case. Share the details of your accident with us. We offer a complimentary case evaluation so we can discuss your case without any financial obligation to you! What causes a vehicle to rollover? If you believe that your rollover accident was caused by a vehicle design flaw, then our SUV rollover attorneys can help you hold the negligent manufacturer liable for your injuries. According to the National Highway Traffic and Safety Administration, sport utility vehicles have the highest rollover rate than any other vehicle. SUVs were also involved in the highest number of fatal crashes and injuries in 2006. 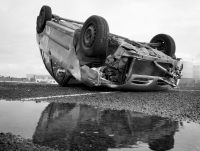 Rollover accidents have resulted in the deaths of thousands throughout the U.S. and when they end fatally there are usually catastrophic injuries sustained. If you have been injured or recently lost a loved one in a tragic rollover accident, then we are here to defend the rights of you and your family. We have seen first-hand the suffering that car accident victims go through and we know that rollovers are not only emotionally traumatizing, but also physically, mentally and financially. Here at Warren & Associates, LLC we are committed to getting extraordinary results for ordinary people. We do not settle for the minimum amount of compensation that insurance companies usually offer. Let us help you recover the full settlement that you deserve. Our injury lawyers have 23 years of extensive trial experience and we are not afraid to take your case to court if necessary. We offer a free initial consultation, so call us today at (205) 221-1044 to get started on your case!